This is a new feature to reward EarnHoney users regardless of where they are. HoneyCodes are codes that can be redeemed on the main Offers page, and they are found in many of the places where you visit - Email, FaceBook, Instagram, Youtube, Reddit, and other places. HoneyCodes are only valid for a brief period of time, so make sure to quickly redeem them. Each HoneyCode is a string of text, that can be specifically tailored to your account (when given over email) or for a limited number of general usages (distributed over social media). HoneyCodes will never have spaces, and are case sensitive. Each code is worth a certain number of HD$ and is only available within a specific time frame. OK, once I find the code, how do I redeem it for my HD$? 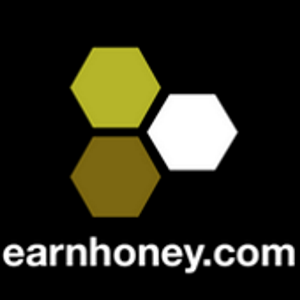 If you’re on any page on earnhoney.com, you’ll see the HoneyCode tab at the top of the page. Hover over that and the HoneyCode box will appear. Enter the text of the code exactly as it appears (codes are case-sensitive) in the dropdown box and click OK. You’ll get a message that you’ve earned your HD$ (assuming you’ve entered the code correctly and it has yet to expire). Sometimes, these codes are catered to specific technology, such as only valid on mobile browsers or desktop browsers. Full instructions will always be given with the HoneyCode. Just one more way EarnHoney is giving back to the community. Stay tuned for more! Hello, I would like to know at what time I arrive HoneyCode? Hello! and I have HD $ 543.83, and do not know how I can withdraw money !!! please can you tell me how?